South Africa uses more than 1.5 million tonnes of plastics each year but just over 20% of this is recycled. Now a Costa Rican manufacturer wants to convert the material into cement. 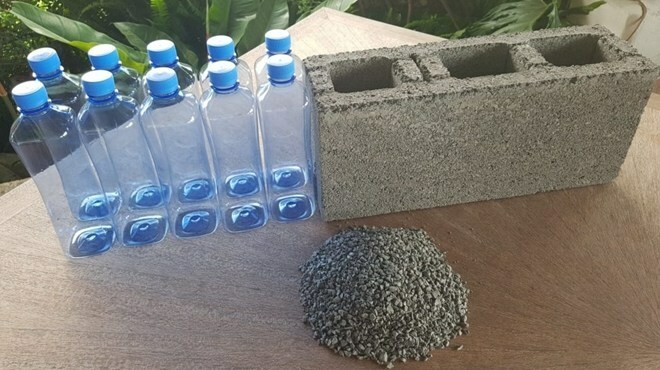 Thanks to a new technology developed by Eco Arena, plastic waste can be transformed into ‘durable cement’ suitable for use in the construction industry. Company ceo Don Thompson says his company will target ‘unwanted’ plastic litter found in Cape Town’s urban hotspots and waterways. Thompson explains Eco Arena will grind the plastics and mix it with calcium and organic additives. The output is a material that looks exactly like sand but is much lighter and stronger. The recycled content per brick is approximately 5% by weight, the entrepreneur notes. ‘We’re taking materials that are not recycled at all and are creating sustainable housing that will last for 50 to 80 years,’ Thompson adds. When the structure is eventually demolished, the materials can be reprocessed and reused. He says this proves it is possible to turn ‘tragic plastic’ into a high-quality product. Eco Arena’s recycling plant is also driven completely by solar power, presenting a ‘very attractive business model’.